2. What Does It Mean When a Stock Trade Is Stock Trade Queued? Normal trading hours in the U.S. run from 9:30 a.m. to 4 pm Eastern time. Although most people buy and sell stocks during this time, some exchanges also allow for trading outside of the normal time window. Pre-market trading is one such form of extended-hours trading that allows traders to enter orders and receive executions before all other markets officially open. Similar trading rules apply as any trade that occurs during normal market hours, but there are also certain nuances that traders and exchanges adhere to during the pre-market period. 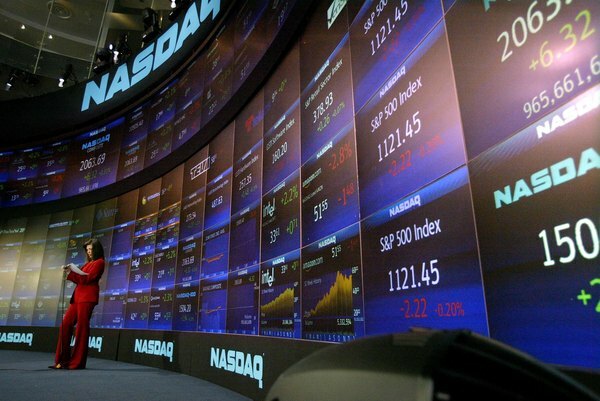 The Nasdaq exchange allows for some of the earliest pre-market trading. Usually, the Nasdaq systems start up at 4 a.m. ET every weekday to provide traders or investors the opportunity to trade stocks in the early hours of the morning. Traders can enter orders and receive executions just like any normal market period. In contrast, the New York Stock Exchange only opens at 9:30 a.m. ET and ends at 4 p.m. ET. Some trading applications can reject orders routed to an exchange that does not participate in pre-market trading. But others with smart order routers can allow for the order to be queued up ahead of the market open or rerouted to an open destination. Most exchanges and trading applications only allow for limit-order trades in the pre-market session. Limit orders are buy or sell orders that seek execution at a particular price range. For example, a limit order to buy a stock at $9, would ensure an execution at a price of $9 or below -- a range favorable to the buyer. In contrast, market orders, which allow for immediate execution at any prevailing price, cannot be placed in the pre-market. Many applications will reject market orders placed in the pre-market even before the order is routed to the exchange. Similar to normal market hours, traders can also manually cancel or edit orders in the pre-market. They can adjust the order's limit price, its quantity or the time life of the order. If your limit order did not receive an execution in the pre-market, some applications may automatically roll the order into the day session. More often, depending on the time in force associated with the limit order, it can stay active all day until it is executed or canceled back by an exchange when the systems go down at the end of the day. However, it is important to note that those limit orders will never be automatically changed into direct market orders. A trader would have to cancel the limit order and re-enter it as a market order. Pre-market trading is frequently associated with wide spreads. This means the bid and offer prices quoted in the pre-market are normally wider compared to regular market hours. One reason for this is that many exchanges are still unopened, which means traders cannot tell of the other possible prices and volumes that are quoted in those exchanges. This causes a wider price volatility in the pre-market. A buy order, for example, can receive an execution at an unusally high price because of the information gap. Hence, this is one more reason why many exchanges only allow for limit orders in the pre-market.